The Arts & Sciences Office of Advising and Student Services, and our cosponsor Murphy's Camera, along with Clifton Donuts, Valley Thrift Louisville, and Ramsi's Café on the World, are excited to see your submissions for the 12th Annual A&S Study Abroad Photo Contest! Ideally, when other students see these photos, they will be inspired to start looking into all the wonderful opportunities to travel abroad available through the International Center, The Office for Civic Engagement, Leadership & Service, and various academic departments on campus and local businesses around Louisville. Students benefit from these experiences not only academically, but personally as well. Undergraduate A&S Majors or Minors who studied abroad in 2018 are allowed to submit up to three (3) photos from their travels. These should be photos BY you, not OF you (no selfies!). 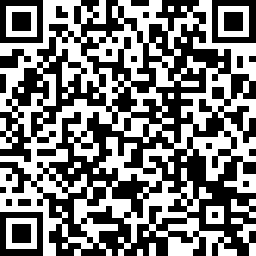 Follow the link below or scan the QR code to submit photos via our online form. Are you interested in doing study abroad? The first thing you should do is visit the International Center for information about the basics of planning a study abroad semester, summer, or year. You should plan your experience about a year prior to the time you would like the study abroad to take place. The Study Abroad Office can help you pick out what classes are available at your intended location. The next step (in terms of course work) is to have the faculty advisor in that area (i.e. French faculty advisor if it is a French language class) sign off on your form indicating how the course transfers to U of L. After you have that information - please visit the A&S Advisor assigned to your major to find out how those classes will apply to your particular degree. Please see the International Center website for further information or call (502) 852-6602 ,email us at: edabroad@louisville.edu, or stop by at International Center, Brodschi Hall, University of Louisville, Louisville, KY 40292. The International Center/ Study Abroad Office (edabroad@louisville.edu) advises students on all third-party (managed outside of U of L) study abroad programs. These offerings stretch from the short term summer and winter break programs, to semester and full year programs in universities around the world..